There are times when Collecting African Tribal Art is full of mystical, and historical/cultural perspectives. Finding an Ijo “water spirit” mask, is always one of those times. 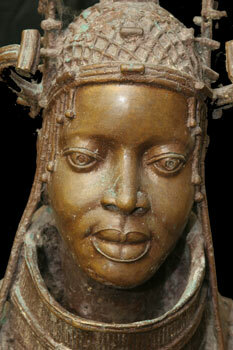 On the west coast of Africa, to the south of Nigeria, in the delta region, there is a tribe known as the Ijo. 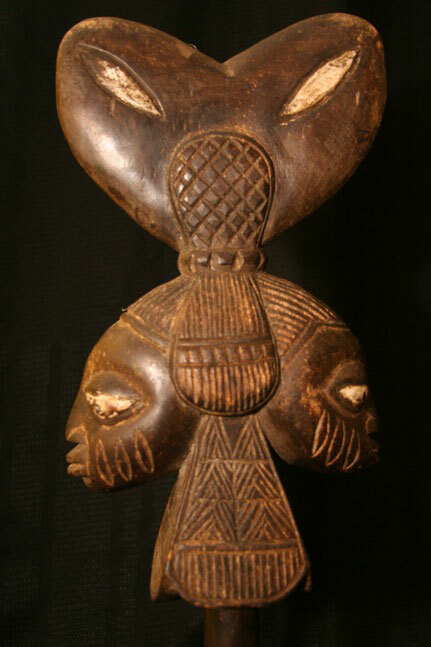 The Ijo style of carving has not succumbed to the Yoruba style primarily because of the proximity of the rivers, swamp, and ocean that frame the life and culture of the Ijo. The powerful Ekine (also known as Sekiapu, meaning “dancing people” in Ijo) society of the Ijo maintains its style alongside alongside Yoruba traditions of the Oshugbo, or Ogboni society. The main dance group of Ekine is the Agbo, or Magbo, society. 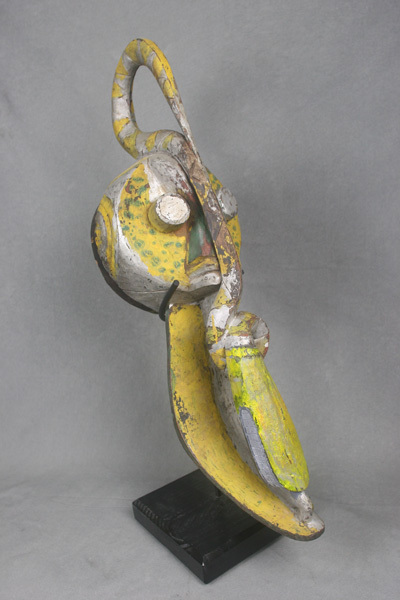 The mask shown below belongs to this group, and is one of three used with antelope and bush-cow representations.